Try this useful tip to help prevent water damage during cold weather - Bauer Restoration, Inc.
“Cold temperatures and ice can cause costly problems and water damage is a major winter problem. It’s seems like a basic thing to do, insulating your pipes in colder areas of the home, however many homeowners who neglect this task often pay the price with expensive repairs. An unfinished and non-heated basement is perhaps one of the worst areas affected for frozen pipes. 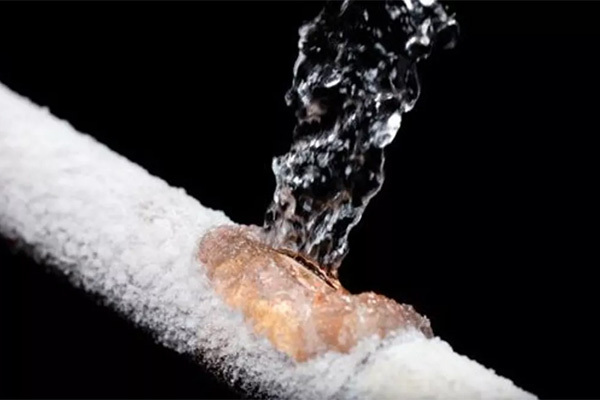 Although certain materials such as PEX for piping can withstand frigid temperatures better than copper. If your home has been affected by water damage, call Bauer Restoration at 507-333-9838 or visit our water damage page for more information. We have emergency service available 24/7! © 2019 · Bauer Restoration Inc.